Learn more about the different use cases and approaches your organization can take to integrate with Salesforce Health Cloud. Take a closer look at the methodology of identifying and developing the use case. Read about how UCSF is transforming breast cancer screening and treatment with EHR integration through a middleware partner. 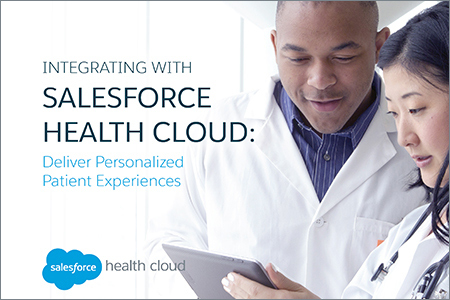 Explore how Salesforce extends the EHR for a unified patient view through integration.